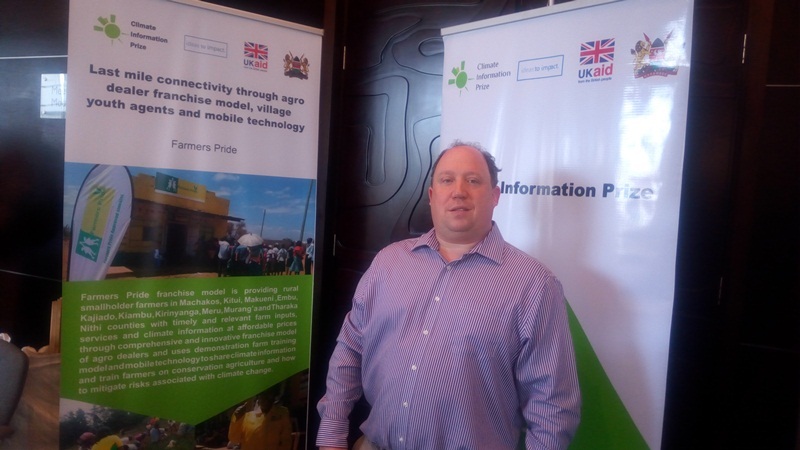 December 6,2018,Nairobi.Seven Kenyans drawn around the country were awarded with cash prizes for their innovations that are enabling vulnerable communities to use climate information to build their resilience to the impacts of climate variability and change by an organization called The Tekeleza Prize offered by Climate Information Prize (CIP) a UK Aid funded initiative in partnership with Kenya Meteorological Department (KMD) with the aim of impacting programmes that are aimed at improving the usability of climate information. The winners of the prizes had to provide and enable access to climate information and associated services that respond directly to the needs of farmers and had reached a certain number of beneficiaries during the prizing period. They also showed evidence of how their initiatives had benefited their target communities particularly in marginalized groups such as the youth, elderly and persons with disabilities. Jonathan Slater, the Prize Expert Consultant of the programme says that the objective of the programme was to recognize the innovators and ward them and providing a learning and exchange forum for stakeholders on climate information with the various innovations and initiatives currently available. 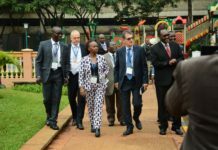 The program provided a forum for innovators to network with these stakeholders in the climate sector for purposes of forming strategic partnership and funding and also to show-case their innovations to them. “Climate Information Prize was set up in the year 2013 to stimulate the use of meteorological and weather data to low impact communities that have got less information on climate changes and to look how they can access and express the weather information,” Mr. Slater, the Prize Expert says. The programme which only runs in Kenya was started 18 months ago where those who wanted to get the prizes had to apply. They were not given money to start up as they were to be rewarded for their achievements during the prize period. Mr. Slater says that they were to show how much they are giving to the farmers and pastoralist in their individual communities and how they have changed and are using climate date seasonally, weekly and monthly. “Generally when we started there were over a thousand applicants for the programme but shortlisted the number to 250 and later to 100 in third round, 27 to 19 innovators until we were left with 9 of them where the judges who were national and international experts selected and evaluated 7 winners that were to be rewarding from the first winner to the sixth one,” he adds. There was live judging where the innovators were given each 30 minutes to explain what they had done and answer questions from the judges and the final judging committee arrived at the decision of who were the winners. 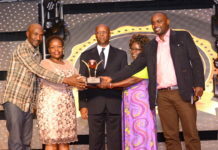 The first winner Samuel Munguti of Farmers Pride organization scooped an award of USD 200,000 (KSH 20 million) while two innovators, Elizabeth Achieng of Ukulima Tech and Daniel Mbeya, Prize Smart became the second winners of USD 75,000 (KSH 7.5 million). The fourth winner Rugar Rono of Akiporoo organization got USD 50,000 (KSH 5 million) with runners up of the award receiving USD 35,000 (KSH 3.5 million) each. They were David Kogo of Cosdep, Martin Kumbe of Sofdi and Nicholas Ozor who has a mobile app called Landinfo. Samuel Munguti CEO of Farmers Pride Franchise Model of Agro Dealers, was the top winner of KSH 20 million and shares of how excited he is and how he is going to use the money to grow his innovativeness and increase the impact in terms of climate information to the individual communities. “Farmers Pride Initiative was started 3 years ago and was inspired by local farmers who face a lot of challenges that include soil testing, technical capacity support, access to fertilizers and agro chemicals, access to inputs and services like insurance services and most importantly climate change,” the CEO explains. The initiative provides all these through comprehensive and innovative franchise model of agro dealers and uses demonstration farm model and mobile technology to train farmers on conservation agriculture and how to mitigate risks associated with climate change. “The agro dealer franchise model are village stalls that farmers are able to purchase counterfeit farm products which acts as a one stop shop differentiating them from the normal stalls in the villages as they are kept in a modern way,” Mr. Munguti explains. 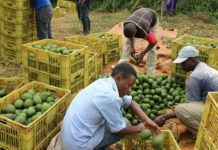 This is done by partnering with rural agro industries by giving them tools they need to empower their local farmers and empower them to offer local extensive services like setting table farms for training farmers. They also empower them to access quality inputs through farmer’s pride due to the fact quality services is a key challenge.The initiative is currently in Makueni, Kitui, Kajiado, Kirinyaga counties and those in Central and Eastern Kenya. The have been able to reach and impact 20, 384 farmers in the last two years and they are looking to take the solution to many more villages by getting more 40 village stalls put up using the money they won. They have a unique mobile technology platform that avails weekly climate information that is share through short message text SMS and a tab on real time where data is dispensed and shared through KMD. 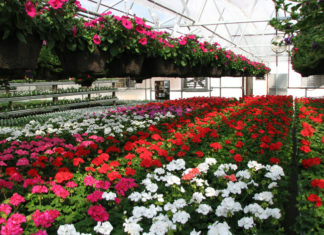 “We interpret and castigate the climate information to a language a farmer can consume and bundle it together with access to credible agricultural services like agronomy services that tell when the temperatures are high and when there is going to be rainfall, they also get access to the right inputs and prices ,” Mr. Munguti says.